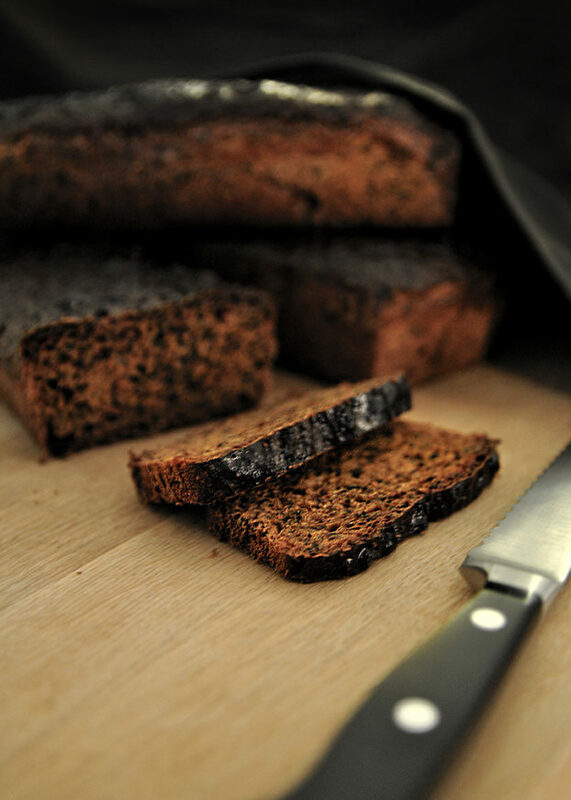 This traditional bread from the Finnish archipelago has a sweet, malty and syrupy taste. The bread is known all over Finland as “saaristolaislimppu”. It’s eaten throughout the year but for many Finns it’s also an essential part of the Christmas dinner table. The great thing about this bread is that it gets better by time and can be prepared a couple of days beforehand. 🙂 It can also be frozen, which is a good thing considering that this recipe makes a good amount of bread. The dough fills either three 1 liter bread forms or two 1,5 liter ones. Heat the sour milk to 37°c. Crumble in the yeast and mix well. Add the syrup and salt. Mix together the brans, rye flour and malts and add them to the sour milk mixture. Stirring constantly, add the what flour gradually into the dough and keep stirring for about 5 minutes. Let the dough rise for an hour. Fill the forms half way full and let them rest for an hour under a cloth. Bake the breads in 175°c for 1 hour, then brush them with a syrup-water -mixture. Bake for half an hour more on the lowest rack of the oven. Brush the breads one more time when you have just taken them out of the oven and they’re still hot.